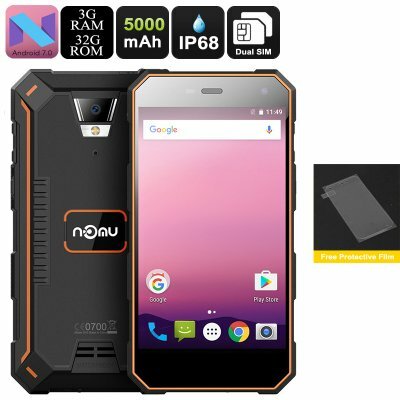 Successfully Added NOMU S10 Pro Android Phone - IP68 Waterproof, Quad-Core CPU, 3GB RAM, Android 7.0, Dual-IMEI, OTG, 5-Inch, 5000mAh (Orange) to your Shopping Cart. The Nomu S10 Pro is a fully rugged Android phone that follows you anywhere you go. With a number of outdoor features and IP68 waterproof design; this rugged smartphone is great for outdoor enthusiasts. Its durable body fully protects your Android phone against water, dust, and drops. Therefore, you won’t have to worry about carrying it along when heading outside. Even its 5-Inch display comes equipped with Corning Gorilla Glass 3 for extra durability. Thanks to this, you’ll be able to enjoy all your favorite media in HD resolutions in the toughest of environments without needing to worry about scratching or breaking your display. This Android phone comes packed with a 5000mAh battery. With this cell, you can enjoy all your mobile phone has to offer for up to 8 hours straight. The Nomu S10 Pro furthermore comes with Dual-IMEI numbers and 4G support for increased connectivity. No matter where you’ll be headed next, which this Android phone you’ll always stay connected. The phone even comes with a sophisticated 8MP camera that lets you shoot nice pictures and video during upcoming outdoor trips. Thanks to the phone’s 4G support, you’ll be able to instantly share your photos and video with friends and family regardless of where you’re at. With a Quad-Core processor and 3GB RAM, this rugged Android phone treats you to an outstanding performance. You’ll be able to play games, watch films, and enjoy Apps without your phone dropping a frame. Along with its Android 7.0 OS, you are sure to undergo a smooth user experience at any given moment. The phone treats you to 32GB ROM and 32GB external memory support. This leaves you with plenty of storage to keep all your files and media to make sure you’ll never have to feel bored again. 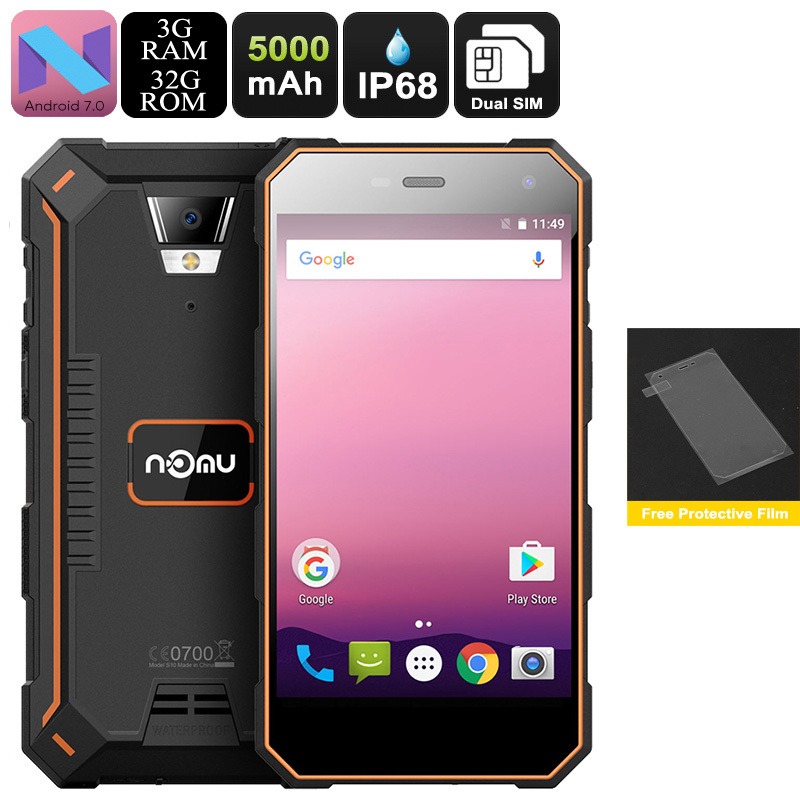 The Nomu S10 Pro Rugged Phone comes with a 12 months warranty, brought to you by the leader in electronic devices as well as wholesale smartphones..